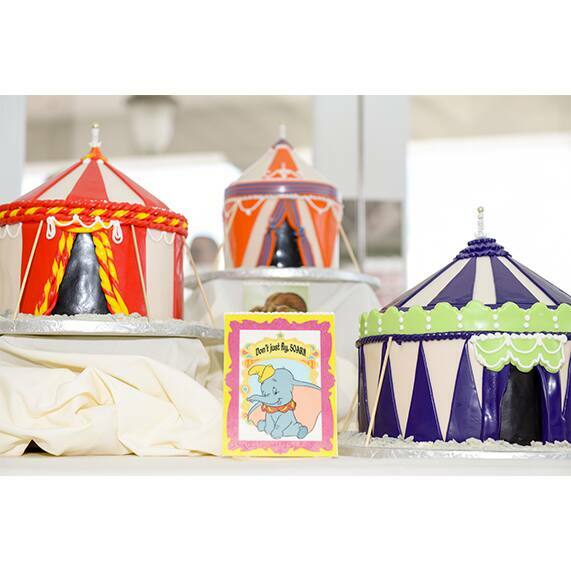 We're heading to the circus this Wedding Cake Wednesday with a throwback to the Disney classic Dumbo. 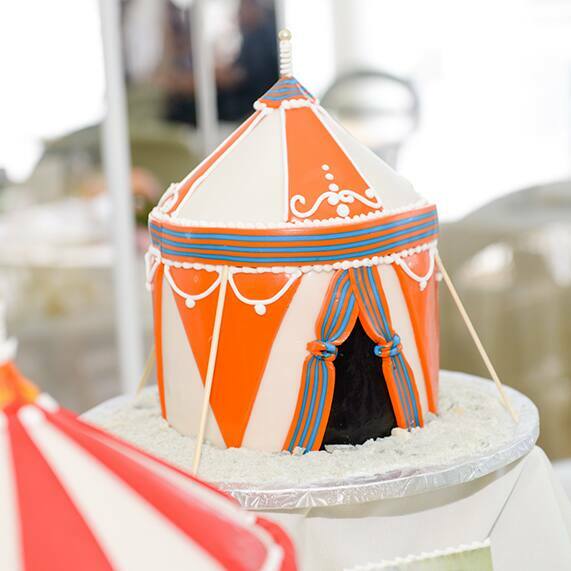 Why choose just one cake when you can have three? 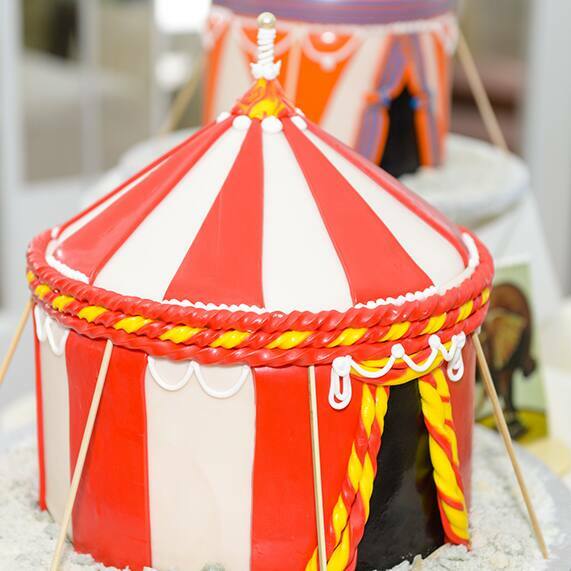 Inspired by the iconic big top tents, these three mini cakes each have their own elaborate details and vibrant color scheme. 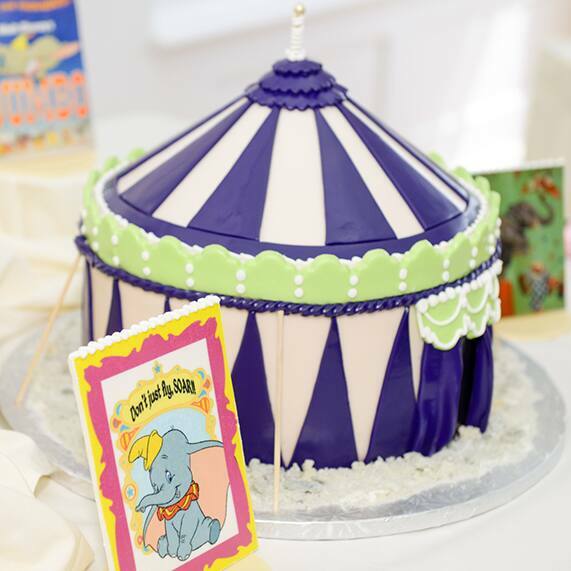 Accented with Dumbo and elephant themed cards, this cake table flies above and beyond expectations!